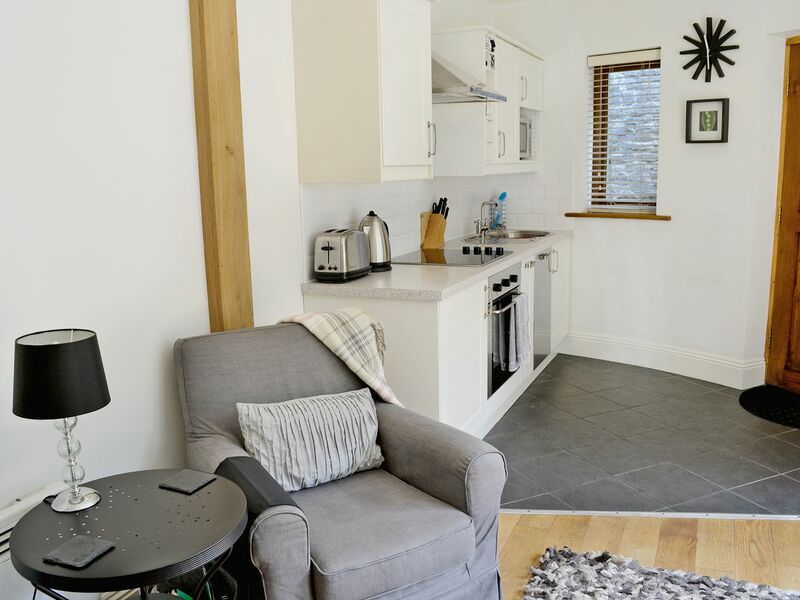 Grove Garden Cottages are ideally situated on the fringes of Middleham just below King Richard’s castle. 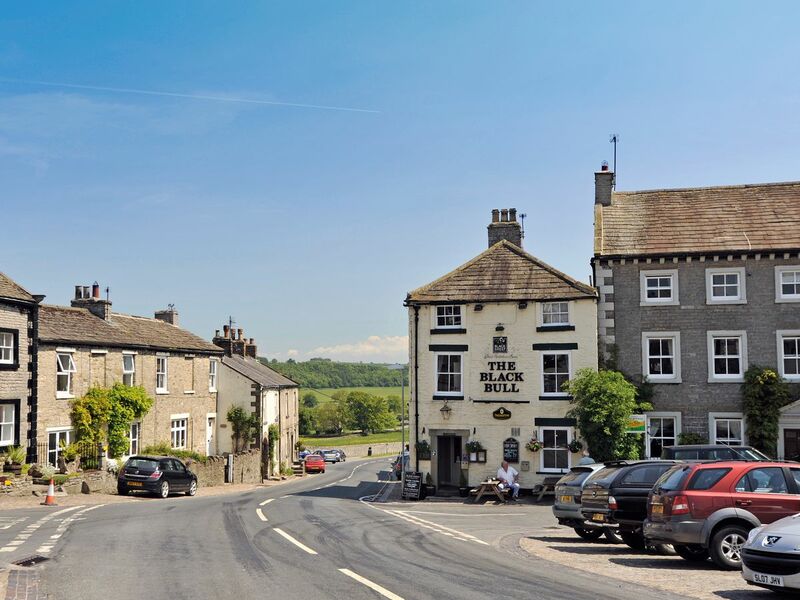 Within 200 yards there are four pubs, fine restaurants, shops and tea rooms, whilst the Blue Lion Inn’s restaurant is just 2 miles away, and Leyburn (3 miles) boasts several good pubs and takeaways. Poppy’s Footprint (ref E4199) is a uniquely romantic retreat. 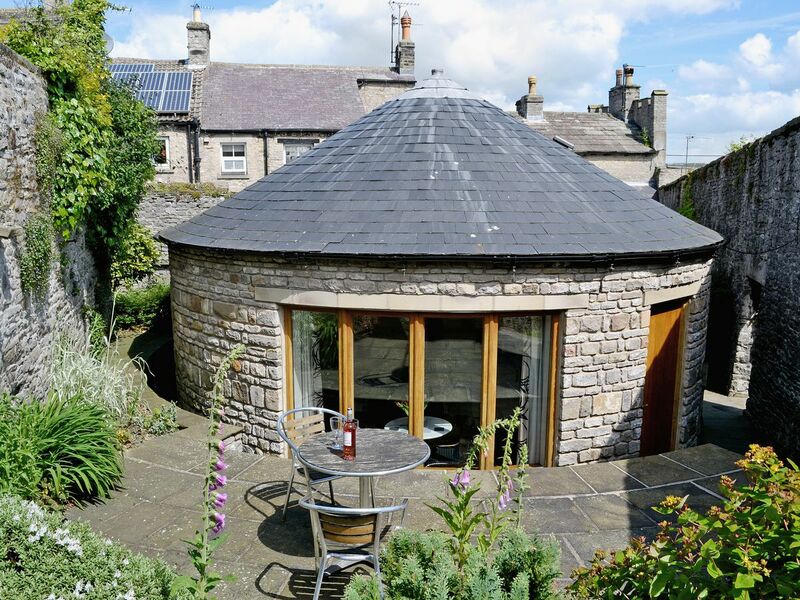 This entirely circular cottage offers a completely secret hideaway in a walled suntrap garden. From its beautifully planted and sensitively lit garden to its smart contemporary interior, it is perfect for a relaxing break. The Summer Palace (ref E4198), converted and furnished in contemporary style to a high standard, enjoys views over fields and woodland. The Round House (ref E3572), set within the owner’s produce garden, is sheltered by a high stone wall. It is a delightful cottage, with a comfortable interior fitting neatly into its unique shape and faces south looking across the idyllic landscape. Middleham lies amidst the outstanding beauty of Wensleydale. It is the centre of northern horse racing, is home to renowned riding stables and you can watch the horses in training on beautiful Penn Hill. Visitors here can enjoy delightful walks from the doorstep. Hawes, with its Dales Museum, Wensleydale Cheese Creamery, Aysgarth Falls and Jervaulx Abbey are a short drive. The Forbidden Corner at Leyburn, 3 miles, is an extraordinary 4-acre garden containing a labyrinth of tunnels, follies and other surprises. 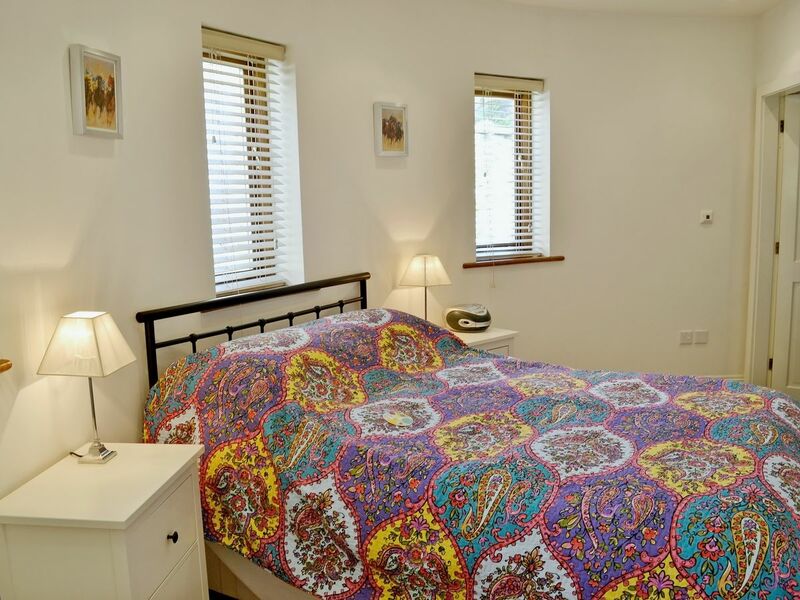 All 3 detached properties stand within a few yards of each other in a walled garden and can be booked individually or together to sleep up to 6 guests. Shops and pubs 100 yards. Here you'll enjoy a friendly atmosphere, good food and excellent service where attention to detail are the watchwords. Check out the early bird menu featuring a 3 Course Meal for only £8.95! The Wensleydale Railway runs steam trains between Leeming Bar and Redmire via Bedale and Leyburn. The 17 mile trip takes approximately 50 minutes. For a chance to see red squirrels and rare orchids in a beautiful location.... this is the place to be. 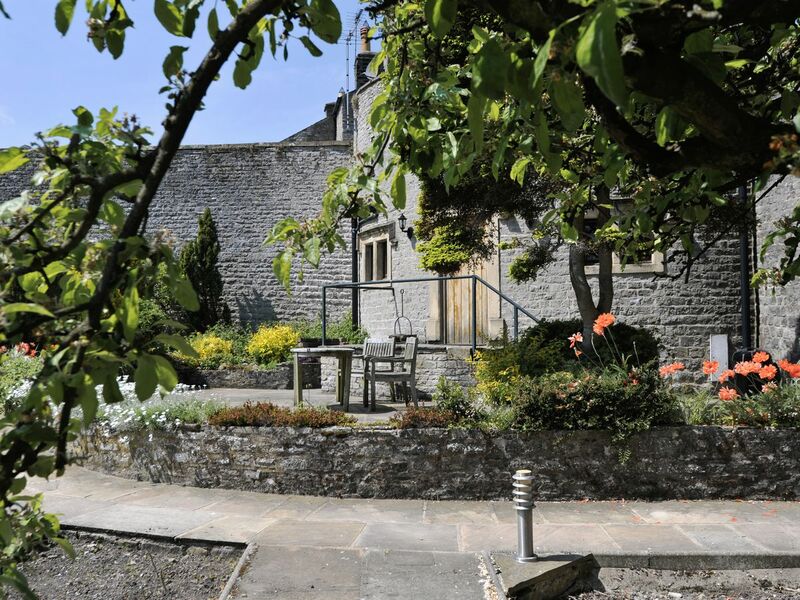 Fun for all ages on the Kilnsey Trail or catch your first fish in the lakes, visit the farm shop for fresh produce and gifts and settle down in the cafe/restaurant known for its superb home cooking. High Adventure provides a choice of outdoor activities under the guidance of a professional and dedicated team. There are a range of corporate events, an adventure centre, outdoor centre and activity holidays, they can adapt their activities to accommodate your needs. The facilities here are vast and include an indoor climbing wall, high ropes course, low ropes course, archery range, abseil platform, cave platform, and the brilliant labyrinth 3D cave maze experience. It is the place to test your abilities and push yourself hard in a safe, fun and lively environment. The staff are so encouraging and helpful and will help you get over your fears. High Adventure is a fun and exhilarating day out for all ages and all the family, if you take children here they will be your friend for life! Whether it be a ride out with the family, a ride at your own pace or you want to ride through the rough stuff, call into Off the Rails for all you will need. Helen's Heritage Walks encompasses a range of walks around Haworth, Top Withens and the surrounding areas. The walks vary in length from 2 to 8 miles and difficulty from easy to hard, each walk is clearly defined on the Website. There are a choice of walks to choose from that cover different aspects of this mesmerising countryside, there are the popular Bronte walks, Wuthering Moors walk, Top Withens, Haworth village or choose a local history walk that incorporates Bradfords Industrial heritage, Jewish heritage, Titus Salt's model village or the Shipley Glen Tramway walk, each walk is accompanied by Helen who will depart her wealth of knowledge of the area and its past inhabitants, there will be stops where points of interest pertaining to the subject of the walk are pointed out. Some of the walks will incorporate a stop at a cafe or pub otherwise you will be told to take refreshments and a packed lunch. Some of the guided tours will involve a tour of a historic house or building. It is very important to wear the right footwear and comfortable clothing, as well as carry waterproofs as you never know! In warmer weather you will need suncreams, hats and refreshments. Helen's Heritage Walks are a great way to get a real insight into the history of the area under the guidance of a well informed guide whilst, enjoying the lovely outdoors. Ilkley Golf Club is located at the bottom of the famous Ilkley Moor and is one of the best clubs in Yorkshire. It is an 18 hole private parkland course that has a long established history, being the third oldest club in Yorkshire. It is very picturesque and offers magnificent views. The course can be quite demanding and caters to all level of golfer, there are many obstacles including the River Wharfe, deep bunkers, prevalent winds and a positive it does not have high rough, it is a short course, but is well laid out. The course is well maintained, and fairly flat, the fairways are tight and tree lined and the greens are true and fast. Staff members are friendly, welcoming and professional. The clubhouse has excellent facilities, it is pleasant and comfortable and enjoys gorgeous views out over the eighteenth hole to the Wharfe Valley and Ilkley Moor, on a nice day the terrace is perfect to enjoy a drink after a good game. Ilkley Golf Club is a real gem, welcoming, a fabulous course with a brilliant clubhouse and superb green fees making for a very memorable and enjoyable round of golf. The Ingleborough nature reserve covers 1,014 hectares in North Yorkshire. This gorgeous expanse of green includes the well-known Three Peaks. The terrain is mountainous and includes flower covered pastures and meadows with moors adorned in delicate heather. See ancient woodlands and many of the finest limestone pavements in all of Britain! Since 1991, the Yorkshire Dales Falconry Centre has been bringing avian and human together. This unique facility is one of the few places that allow visitors to get up close and personal with majestic and powerful birds of prey. The grounds include Mrs. Feather's Tea Room which is available for birthday parties and events. The Settle Play Barn offers a safe place for children to have fun! Bring the whole family and have a great time while the little ones burn off energy. Colourful play areas provide space to romp, slide and run while the on-site cafe offers convenient meals. Weekly events are offered and include music, crafts, dancing and the cookery club. Ilkley Theatre is located in the charming spa town of Ilkley. This community run theatre serves as a venue for live amateur theatre and is run solely by volunteers and raises all of its own funding, they are always looking for new members. In return audiences are rewarded with high quality amateur productions and other arts activities. They showcase about ten performances a year so there is always something new to see and there will be a show to appeal to everyone. In addition they welcome touring productions and showcase other events including comedy nights and concerts. The theatre is intimate and friendly and has a lovely welcoming atmosphere. Facilities are very good, lighting and sound are great and seating is comfortable with good visibility of the stage. Ilkley Theatre is a real gem of a community theatre, it showcases high quality productions, has excellent ticket prices and you are assured an enjoyable and fun night out. Grove Bookshop is an independent bookshop located in the charming town of Ilkley in a lovely Edwardian fronted shop. They are well stocked and have a large and diverse collection of books covering all tastes and genres, in addition to a great collection of books, maps and guides relating to Yorkshire and the Dales. Another aspect of the shop is the lower floor where you will find Grove music, where a comprehensive range of CD's and DVD's are available covering all genres of music and films, as well as sheet music. They are open 9.00am to 5.30pm Monday to Saturday and from 11.30am to 4.30pm on a Sunday. Staff are brilliant, so friendly, helpful and knowledgeable you get a real personal experience here. It is possible to order a book if it is not in stock and in most instances will be there the next day, a really fast and efficient service. Grove Bookshop is a lovely shop a real book emporium it is perfect to just stroll around and enjoy all the books on the shelves and the unique smell a bookshop has. Kings Hall and Winter Garden are found in a beautiful old Victorian building in the centre of the charming town of Ilkley. It is a classic theatre that serves as a community venue that hosts a large selection of events including local amateur dramatics, performing arts companies, concerts, fairs and community events as well as being an important part of the annual Summer Festival that takes place in August. The interior still retains its original charm and beauty. It is a not a huge venue so it has a nice intimate feel making the performances feel more personal and friendly. Lighting and acoustics are very good, and the seating is comfortable. The facilities are very good, the bar area is welcoming and inviting and has a good selection of drinks that are well priced. Staff are great, friendly and helpful in getting you seated. Kings Hall and Winter Gardens is a real gem, a beautiful venue that showcases quality shows and events, ticket prices are very reasonable and you are assured a great night out here. The renowned Settle-Carlisle Railway claims to be "England's most scenic railway." This historic transportation resource runs through northern England. 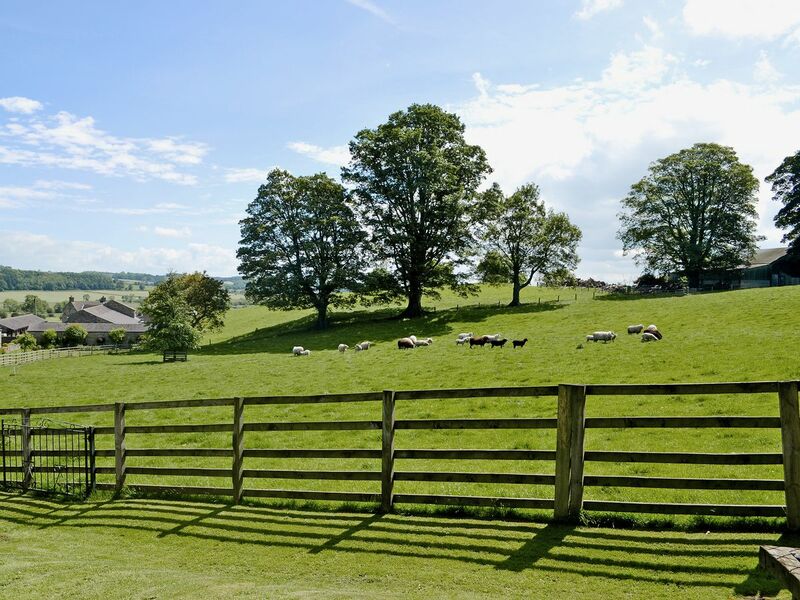 It was built in the 1870s and offers breathtaking views of some of the finest countryside in the North Pennines and Yorkshire Dales. Visitors can still travel the Settle-Carlisle line today. The Gallery on the Green is a unique landmark that comes in a very compact size. The Settle Town Council purchased the Upper Settle phone box in 2009 and transformed it into what is possibly the smallest gallery in the world. The gallery can be found a mere 10 minutes walk from the Settle market. East Riddlesden Hall is a lovely 17th century manor house and gardens. For many years this estate was a thriving farm and produced sufficient milk, cheese and bread to supply the household and its workers. This house is considered to be small but is still impressive and has a number of interesting features as well as an fascinating collection of furniture, textiles, pewter and much more that is on display. On the grounds is the Great Barn considered to be one of the foremost barns in the north of England, this vast structure was originally made of wood but in later years was covered in stone, a lovely example of the skill of the craftsmen at this time. The gardens are considered to be small but they are pleasing and a lovely place to stroll around with their herb border, trees, shrubs, flowers and more. The Riverside Walk takes you along the River Aire where you can search for local wildlife, feed the ducks, walk the dogs or bird watch. For the smaller visitors there is a natural playground, mud pie kitchen and bird hide. When you have finished exploring take some time to visit the cafe where you can enjoy a cream tea, jacket potato, soup and daily specials. The staff are very friendly and informative and will enhance your visit. A lovely house and gardens that are definitely worth exploring.